A: As soon as you know you should inquire. I often take bookings for events up to a year in advance. Q: How long does a design trial take? A: I recommend you allow 2 -3 hours for your trial. Q: What happens in a design trial? A: At a design trial we discuss the kind of look you’re going for. We may need to test some colors and applications styles to see how they appear. Q: Is the design trial mandatory? A: Yes. You wouldn’t dream of buying your wedding dress without trying it on before your wedding day. At your design trial, you have time to really ensure that you’ll be happy with the makeup look for your special day. The wedding day isn’t the best day to decide if you want a winged eyeliner or a red bold lip and it also prevents any unexpected mishaps. Also, your skin may not be in its best condition and at the trial, we can identify this and advise on hydration, waxing etc. Q: What should I bring with me to my design trial? A: Please arrive with a makeup-free, cleansed face. I recommend that you wear the same color top as your wedding dress. Please feel free to bring along any photos, magazine clips, Pinterest images of makeup you’d like me to review. A picture of your dress is also most welcome. Everything you bring along to your trial helps generate a clear picture of how you’d like to see yourself on your special day. A: If you can, wear a button shirt or a top with a wide neck, so that you don’t have any issues with damaging hair/makeup when you are changing into your wedding or special occasion outfit. A: Yes of course. Bring along a bridesmaid or your sister, best friend or Mom. Q: I don’t know what I want, can you help me? A: Yes absolutely although having some sort of direction or general idea is essential. Being a visual person there is a difference in verbalizing your idea and showing me. An idea of something natural might be another ladies overdone. 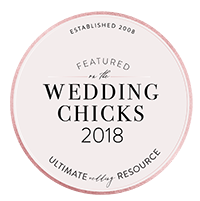 Q: I have seen makeup artist that charge a lot less than you do for wedding makeup per face. Can I get the same rate with you for my special day? A: You’re getting married not performing on stage. Don’t be fooled into thinking that your makeup needs to be heavier, it doesn’t! Some things do need to be redefined i.e. switching from your usual brown mascara to a black one but bridal makeup is designed for longevity. For reassurance I recommend taking photos with a real camera, not an iPhone throughout the rest of your trial day. Q. Is it customary to pay for all of my bridal parties hair and makeup? A. Absolutely not! I get asked this question from almost every bride, some brides do pay for it, but I would say 90% of wedding parties start a payment plan via Venmo so it can be affordable and paid to you weekly and by the time your wedding has arrived it is already taken care of. A: Applicable service fees will be added to the invoice as needed and if applicable. Please ask for more details regarding travel and possible assistants. 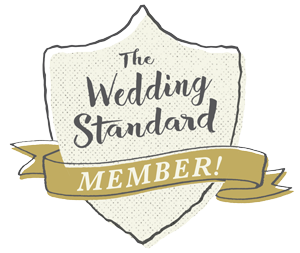 Any bridal party over bride plus 4, I will need at least one assistant ~ depending on the size of the wedding party ~ I can accommodate up to 20. A: It is good to be ready 30 minutes before your first look and/or ceremony. 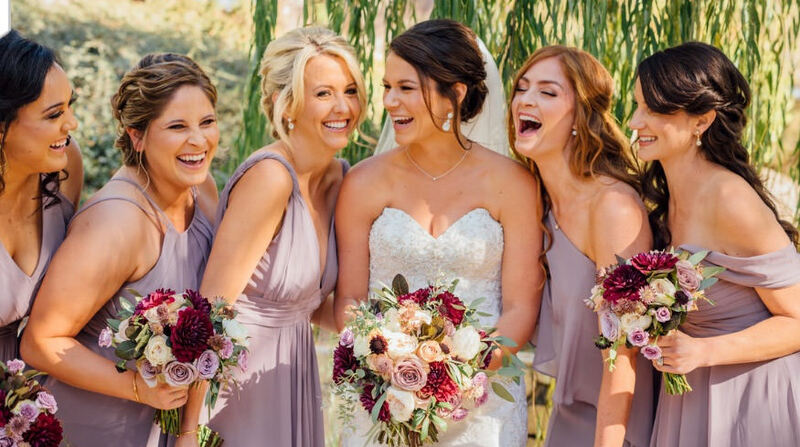 Q: How do I know how much time to allow for both hair and makeup for my bridal party? 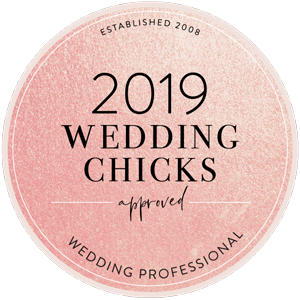 A: For every bride, when I find out who your hairstylist will be, I contact them directly to find out how long they will need for each service and I put together a color coded timeline for you that shows exactly what time each person having services done will need to know. As soon as you give all your details to both hair and makeup I will print this up for you, it works out fantastic! A: Tami Bernard Makeup Artist LLC accepts Paypal, Venmo or cash. I will send you out an invoice with your choice of payment. Q: What if I’m not getting married, how long does it take for a makeup service? A: Standard makeup application takes about an hour. Please factor this into your timing. I advise allowing a small buffer of time just in case something doesn’t go as planned. A: If you are planning on having waxing done (eyebrows, upper lip etc.) this should be scheduled at least a week or 3 days before the wedding or makeup service in case of irritation. Makeup won’t sit well on a freshly waxed face. A: No, unfortunately, my specialty is for makeup. I do work with many fabulous hairstylist that I’m very happy to recommend if you would like, we all work great together. A: Yes, I provide false eyelashes and is already included in your price. A: To ensure a professional finish to your look, we only use professional branded false lashes. For hygienic reasons, we won’t apply false lashes that have been used previously (even if they have been worn by you), as they may have been cut too short, or aren’t of the quality we are used to dealing with and may ruin the overall look of the makeup we have created on you.